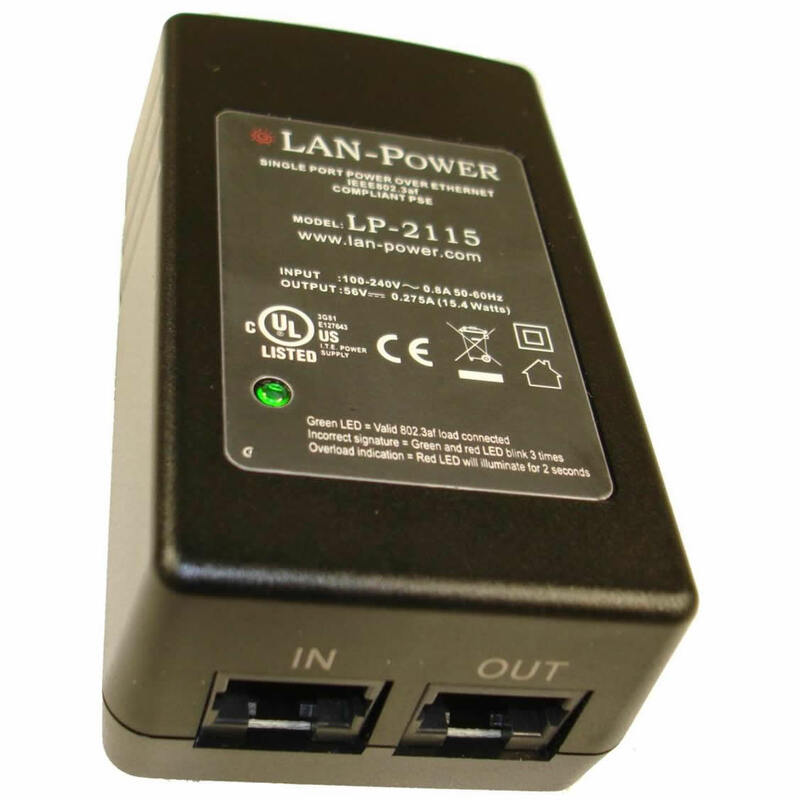 Description: The LAN Power Model LP-2115 Single Port PoE Midspan Wall Plug Injector supports powering IP ‘PoE Enabled’ End Devices. 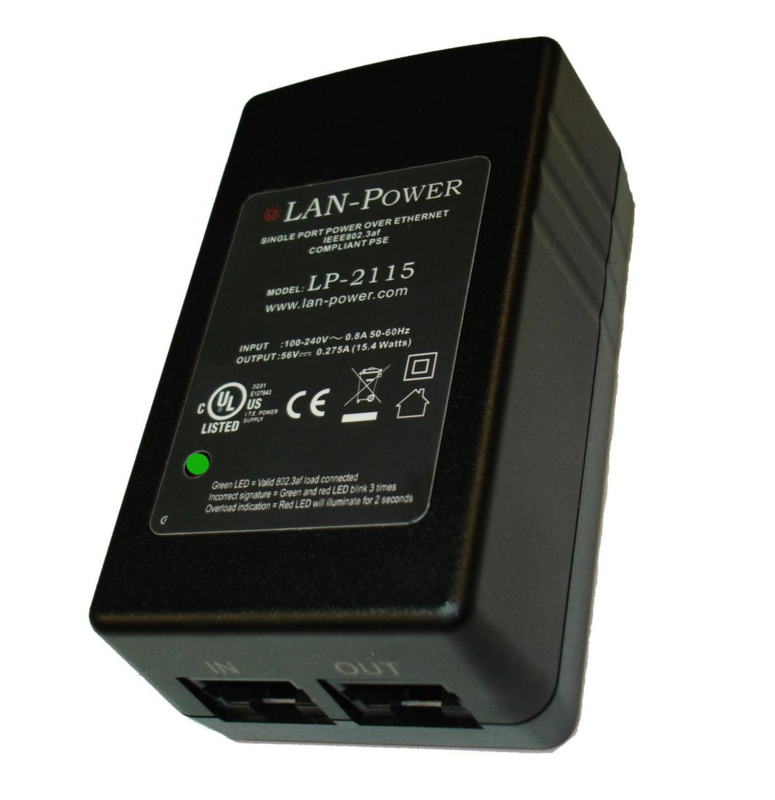 The LAN Power Model LP-2115 Single Port PoE Midspan Wall Plug Injector supports powering IP ‘PoE Enabled’ End Devices. The Single Port PoE Midspan Wall Plug Injector adds up to 15.4 watts continuously at ~56 VDC to paired wires in a standard Category 5, 5e, or 6 Ethernet cable.